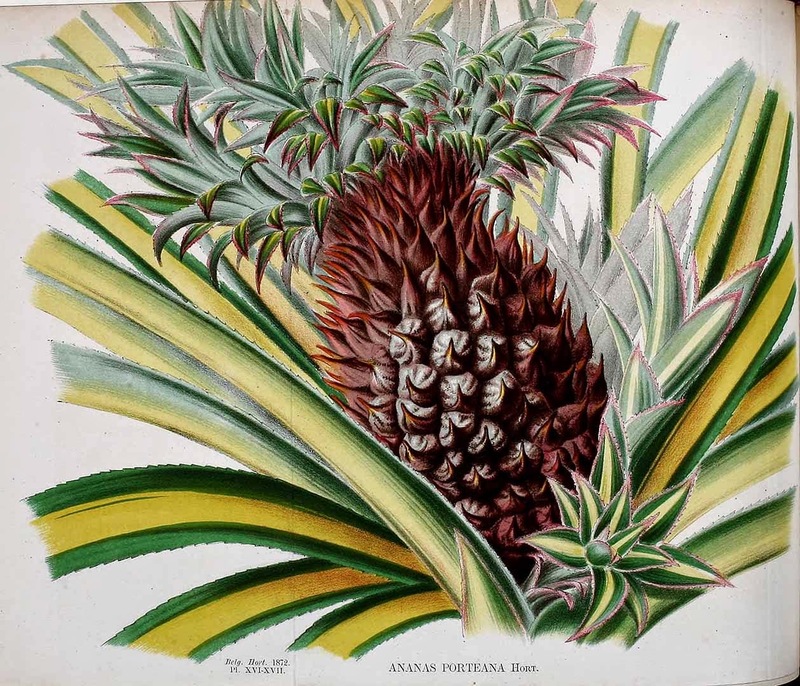 The pineapple fruit - Ananas comosus, is a common sight in most supermarket fresh produce aisles, but as familiar as it is today the pineapple is steeped in history and was once considered to be the most coveted of all fruit. Discovered in 1493 by Christopher Columbus during his voyages to the Americas, the pineapple became an instant hit when it was introduced to Europe. Unfortunately the pineapple has a notoriously short shelf life and the 1-2 month sea voyage it made obtaining one was almost impossible. Its extreme rarity meant that the pineapple quickly became a symbol of wealth and luxury, but despite the best efforts of European gardeners it was almost two centuries before they were able to mimic the conditions required to bring a pineapple plant to fruition. With the benefit of modern air freight obtaining a fresh pineapple is no longer the pricey affair it use to be, but if you are up for a challenge you can still follow in the footsteps of those early pioneering gardeners buy growing a pineapple from seed yourself. In order to get your hands on some seed cut a fresh and fully ripe pineapple into slices and remove the small, black seeds in the fruit's flesh. You will find them nearest the skin. Separate the seeds from the flesh using a small spoon and then wash them with water to remove any fruit pulp. Place the seeds into a clear, plastic bag with a sheet of damp kitchen towel. Seal the bag and place in a warm bright position (such as a windowsill) but out of direct sunlight. Usually germination will occur after about 4 weeks or so but it can take up to 6 months depending on light levels and temperature. Once germinated you will be able to see small, white and green roots sprouting out of the seeds, however keep them in the bag until the roots are about 1 inch in length. Fill 3 inch pots with a good quality compost such as John Innes 'Seed and Cutting'. Carefully remove the seedlings from the bag and planting one in each pot place them on top of the compost. Gently cover the seed with some more compost but in such away that the green shoots are left exposed above it. Water in, then place the pots in a propagator or seal them insider a larger clear polythene bag to maintain humidity. Return the pots to their warm bright position. Water the pots once a week so that the compost is moist but not waterlogged. After another 3 weeks or so they should be ready for potting on into 6 inch pots. If you are growing your pineapple seedlings in a northern European climate then they will need to be kept in a heated greenhouse with a minimum temperature of 20-25 degrees Celsius. In tropical climates they can be planted outside in a free-draining soil positioned in full sun, but only once they have been hardened off for a couple of weeks first. Greenhouse plants will need to be potted up once more into a 10 litre pot once they have reached a suitable size. These larger pots should be big enough to sustain the full growth of the pineapple plants until the fruit is ready to be harvested. 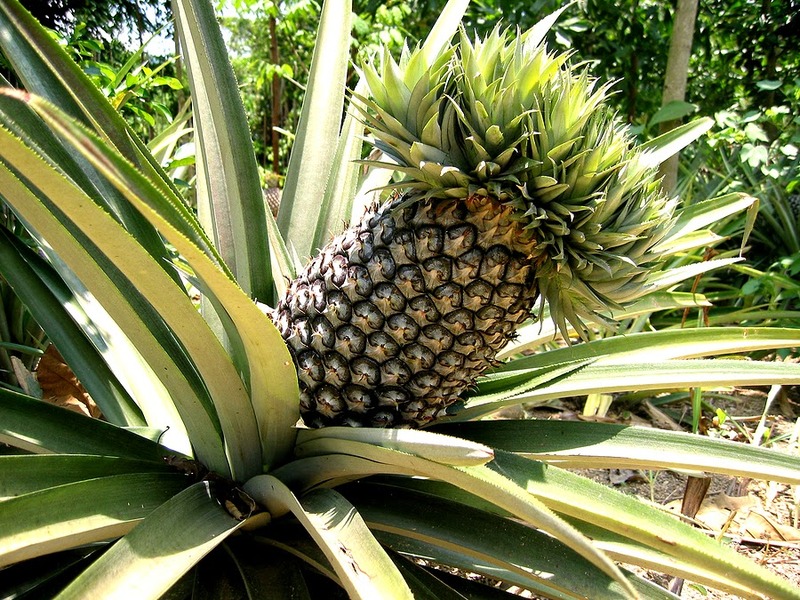 You will need to feed pineapple plants once a month with a water-soluble high potash fertiliser. 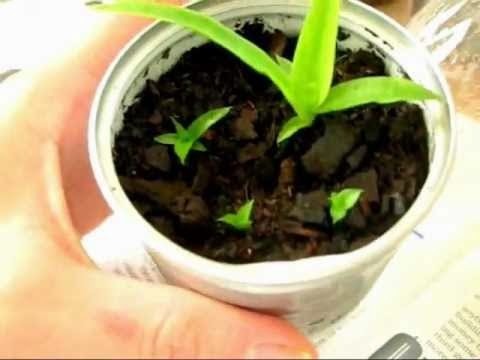 Continue watering and feeding your pineapple plant throughout its life or until you decide to harvest the fruit. You can expect your plant should produce its first bear fruit within 2-3 years.